With the news on March 29, 2017 that Internet providers will be able to collect and sell your web browser history if Trump signs the proposed legislation, you might be wondering how you can protect your ISP from selling or sharing your online information to marketers or the government. Good news? There’s an easy way to better ensure your online privacy—and browse with a little more peace of mind. 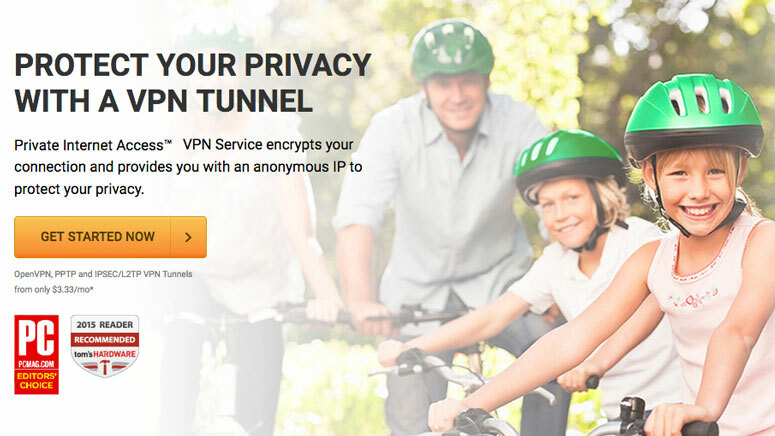 For many years I’ve used a VPN service called Private Internet Access which encrypts your connection and provides you with an anonymous IP to protect your privacy. Their policy that they don’t log users activity was also successfully tested in court recently by the FBI. It’s only $3.99/mo if you sign up for a full year up front, which makes it a no-brainer to me. Watch this very brief video to learn more. My use of Private Internet Access has increased to the point where I only turn it off if I experience an issue with a site not loading or loading very slowly. In the past I only turned it on when I was on public wifi, didn’t want my searches tracked, or was using BitTorrent. Simply hitting “Connect” on my computer or launching the app on my phone will connect me to one of their 3253+ servers in 25 countries and give me an anonymized IP. By default it connects automatically, but you can also choose from certain states, regions, or countries. Here is an example of my current IP while writing this post. The info in the right column is all correct. The info in the left column is all spoofed. For my peace of mind, I’d rather be in control of who knows what I’m doing on my computer. A few easy additional things you can do to protect yourself are to use Google Chrome’s Incognito Mode, which doesn’t track your history, DuckDuckGo, the search engine that doesn’t track you, or install the HTTPS Everywhere extension. HTTPS Everywhere is produced as a collaboration between The Tor Project and the Electronic Frontier Foundation and encrypts your communications with many major websites, making your browsing more secure. Alternatively, use Tor (The Onion Project) which includes HTTPS Everywhere and prevents people from learning your location or browsing habits. Please note: I only endorse products that I use and love. If you sign up for PIA I will get a small commission.